History Explorer provides seven types of resource types: artifacts, primary sources, lessons and activities, worksheets, reference materials, reviewed websites, and interactives and media. You can use the search box on the left to search for resources. 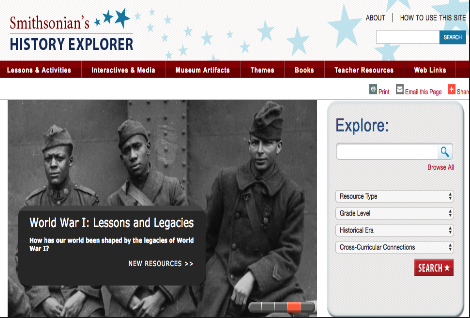 To get precise results you need to narrow down your search using criteria such as grade level, historical era, cross-curricular connections, and resource type. 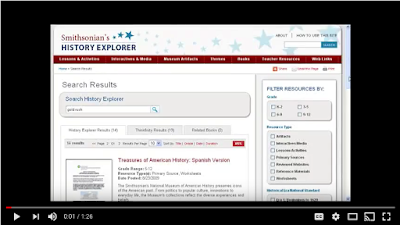 Watch the video below to learn more about how to use materials you find on History Explorer.